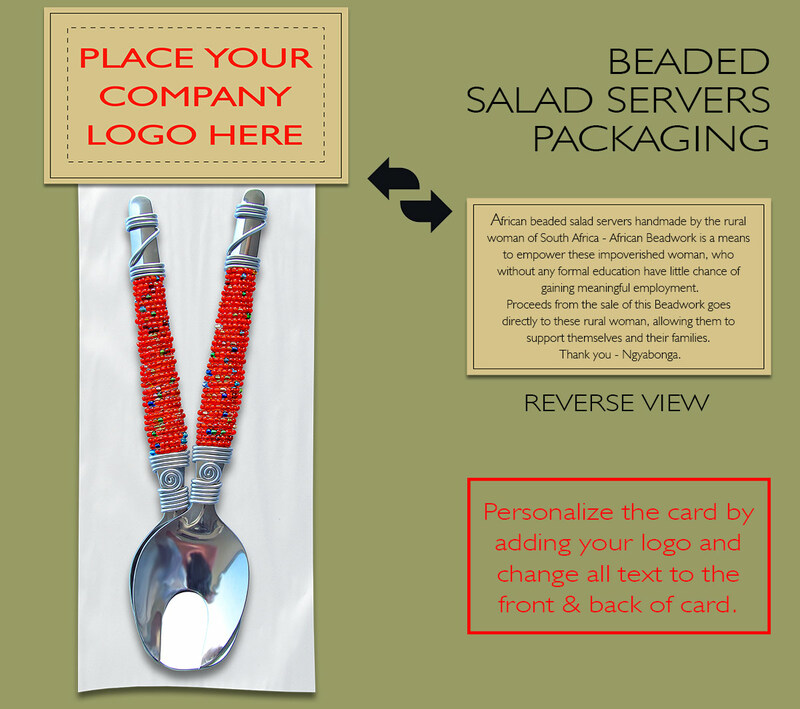 African Beaded salad servers personalized packaging - add your company logo and change all text to the front and back of the card. The salad server is packaged in cellophane with a header card. Packaging must be ordered separately - if you do not order packaging you will receive un-packaged salad servers.